This is our updated review of N26, the online bank, focusing on its new metal premium card. You will be reading quite a bit about metal payment cards on Head for Points over the next couple of weeks. Metal credit and debit cards have been very rare in the UK to date but they are about to take off in a big way – if you are prepared to pay the fees they ask. 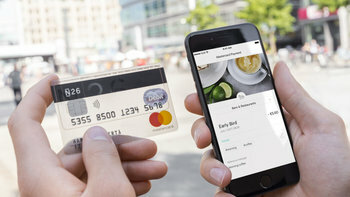 The standard N26 card is FREE. What is more interesting about N26 is the travel and other benefits that come with its paid metal version. In particular, you get free WeWork membership which gives you one day per month of free hot desking and access to the WeWork member network. This benefit immediately got my interest as I used the WeWork hot desk plan for a year before we took a full time office, and we were paying $45 per month for the privilege. The N26 website is here. You can find out about the travel and other benefits of its metal card here. We have covered Monzo, Revolut and Starling on Head for Points in the past few months. These are all ‘online only’ ‘challenger’ banks, aimed at a generation used to running their entire life via a smartphone app. They are morphing into identical businesses offering app-driven current accounts, 0% FX fee debit card transactions, money transfers at interbank rates and analytical spending tools. N26 is older than Monzo, Revolut and Starling, having launched in Germany in 2013. It was only in October 2018 that it launched in the UK and a lot of HFP readers may never have heard of it. It is also active in Ireland, France, Italy, Spain, Austria and Belgium. What does the free version of N26 offer? Let’s review the standard N26 card first. A standard N26 account is FREE for life. The website claims that you can open an account in just 8 minutes. N26 does offer international money transfers but this is done via a partnership with TransferWise. If this is important to you then Revolut is probably a better option as it offers £5,000 per month of transfers for free. There is a £20,000 limit on monthly card payments and a £5,000 daily limit. These are unlikely to trouble 99% of cardholders. The full fees list is here (PDF). More interesting for Head for Points readers, however, is the metal version and its travel benefits. 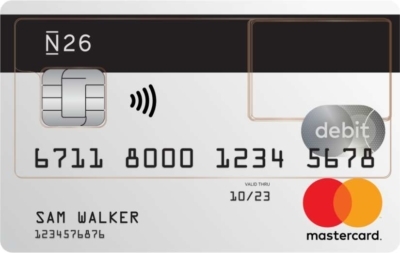 What does the metal version of the N26 card offer? Let’s move on to review the premium metal N26 card which is potentially of more interest to Head for Points readers due to its travel benefits. Whilst a standard N26 account is totally free, the metal version of N26 offers a number of premium benefits. Whether they justify the £14.90 monthly fee is a different question. ….. which I can imagine looks good in the flesh. There is also a slate version pictured below and a black version. There are other partner benefits – see the N26 metal website – but I have just focused on the travel ones above. This is an odd package to value. One thing is clear – if you can use the WeWork membership, and especially if you are already paying $45 per month for WeWork hot desk membership – this is great value. You are swapping your $45 fee for N26’s £14.90 fee, which is a big saving. How would I value the rest of the package? Value of a cool metal card in your wallet – up to you! For me, the package is driven by the WeWork benefit but obviously that is only relevant to a segment of our readers. 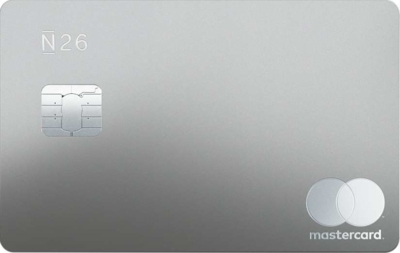 Conclusion – should you get the N26 metal card? N26 is an interesting addition to Monzo, Starling, Revolut etc, all of which have launched very similar products in recent years. 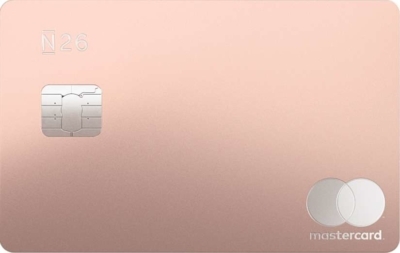 N26 gives the impression of being a slightly more grown-up and simpler package than some of its competitors, but at the end of the day the features are similar. If I was still using WeWork on a hot desking basis I would have jumped on N26 Metal. For everyone else, £14.90 seems steep – even if the travel insurance is suitable for your needs – and I think I’d want to try the free version for a few months before I thought about upgrading. As it is free to sign up with N26, there is no harm in trialling it. Of course, if you have always wanted a metal payment card for your wallet then this is an easy way of getting hold of one. The only question is whether coral, grey or black is slicker …..
You can find out more about N26, and sign up, on its website here. OT – does anyone know how to do a bank transfer but via a points card or curve? Got a large payment to make but they don’t accept card payment! Revolut also. You can top up your revolut account fee free from certain credit cards and then send it to a bank account. Indeed you can, although I’ve always been a bit wary of doing that too much in case they had issues with it. I have been doing that. And they blocked my account. Asked why I was doing top up then sending to my current account. I said thought it was okay to do. I now top up and then pay credit card off instead. See how long that lasts. But revolut is not good with customer service. SHAME its the only card that allows top up as monzo used to. Same thing I haven’t received any bonus points yet. I would say it’s best to split. You can add a note to the reservations about staying adjacent nights but you will still need separate bill for each booking. Those who currently have Curve’s black card will get a 6 month grace period after which they’ll start charging £9.99! Link is 2 days old… Good to see Curve won’t screw over existing holders. Especially after the giving away of black cards that such plebs paid £50 for! The N26 metal card is not worth of having in my opinion. It’s causing trouble at airport security checks. It’s too heavy (it fell out of my wallet) and the additional insurances you have already with other cards and memberships. Better to spend the monthly fee on something else. My metal Curve falls out of my wallet too. $45 is the ‘one day per month’ hot desk rate – but more important is access to all of the WeWork facilities, such as their unrivalled free events programme and access to their members directory.